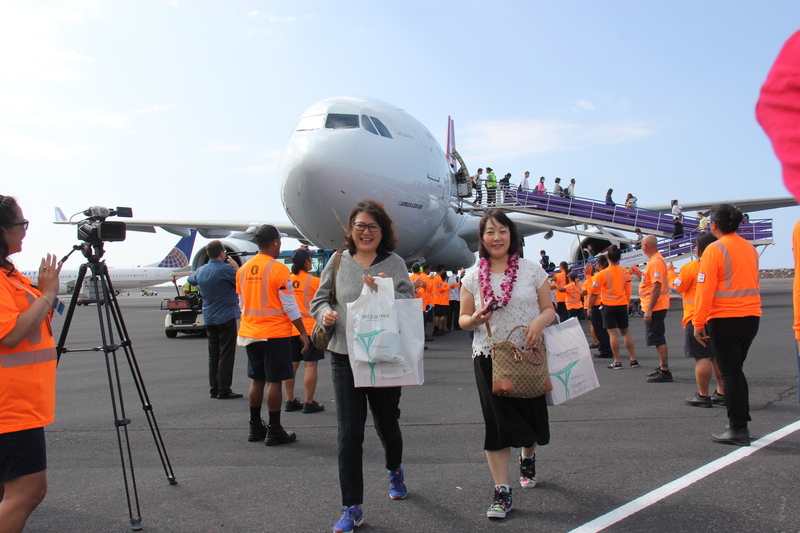 Japanese tourists arrive on inaugural flight to Kona International Airport. 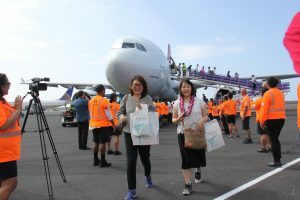 • Building on record tourism and international business development – The Ige administration and the U.S. Customs and Border Protection have reestablished a Federal Inspection Service facility at the Kona International Airport to bring more global travelers to the state. The result will be millions of dollars in tax revenue and visitor spending to boost our economy and create jobs. We’ll also continue Hawai‘i’s leadership role in the Asia-Pacific region by expanding international trade, student exchange programs, clean energy agreements and military support. • Bigger investment in innovation for higher-wage jobs – This includes everything from STEM education in the DOE and UH for tech-based careers to the Department of Business, Economic Development and Tourism’s efforts to promote small business and entrepreneurship development, startup investments and the state’s HI Growth Initiative. The Office of Enterprise Technology Services also organized the first Hawai‘i Annual Code Challenge, in which teams of citizen coders devised computer solutions to improve government services and showcase our local talent.